We know you read Rapid Growth, and we like to think we're in good company among plenty of decent local media options. But when you're looking less for traditional news and more for an interesting range of individual perspectives on living, working, and playing in West Michigan, there are a bunch of local bloggers and social-media-savvy trendsetters churning out compelling content. We know you read Rapid Growth, and we like to think we're in good company among plenty of decent local media options. But when you're looking less for traditional news and more for an interesting range of individual perspectives on living, working, and playing in West Michigan, there are a bunch of local bloggers and social-media-savvy trendsetters churning out compelling content. Check out just a sampling worth mentioning below, and then let us know: Who are you (virtually) following these days? It's getting impossible to turn around in this city without banging into another news article about another brewery expansion (we're not Beer City, USA for nothing). And that's why you should be reading Mitten Brew, where, in its own words, "we believe that spreading the joy and love of Michigan craft beer is important, thus we’ve set our sights on uncapping the story of Michigan beer, one brewery at a time." 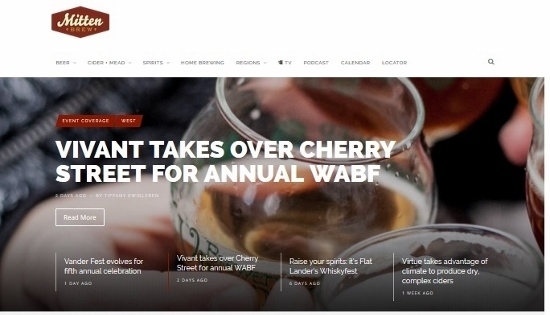 The site features a little of everything brew- and spirit-related, but we like it for its gorgeous photography (much of it taken, full disclosure, by the talented Steph Harding, who also shoots Rapid Growth's UIX features), its reviews, and its in-depth brewery profiles, which have begun to cover spots farther afield as well as those favorite West Michigan destinations. Don’t miss their calendar of upcoming festivals and events, a handy reference for planning a weekend of raising a glass with friends. 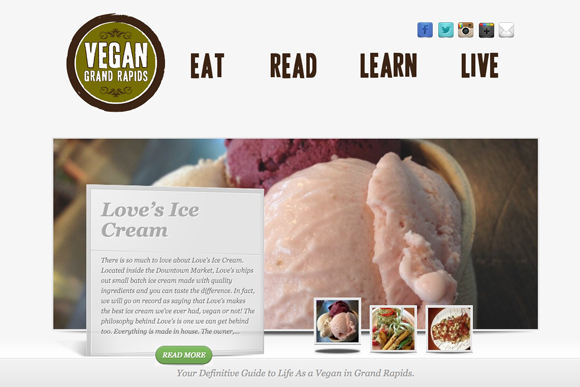 Local vegans, vegetarians, and foodies of all stripes should be reading Vegan GR, a reliable and unflinchingly honest site that covers all things vegan and local. Headed up by Kolene Allen and Jon Dunn, the Vegan GR site provides restaurant reviews, links to pertinent articles on the vegan lifestyle, and a blog, which, for those of you who want to fall down a rabbit hole, recommends in one entry several other vegan food blogs worth reading. Whether you're a committed vegan, spend time with friends or family who eat vegan, or simply want to broaden your dietary horizon, it's "Your Definitive Guide to Live as a Vegan in Grand Rapids." West Michigan is home to a few excellent technology companies, and one of them is home to the thoughtful blog Great Not Big. Atomic Object founder Carl Erickson writes with warmth and disarming candor about all manner of business situations, often sharing his own lessons learned at the helm of his particular tech company, but his musings are widely applicable to anyone curious about work, business culture, and innovative thinking. With posts ranging from "Is a company like a family" to the topic of slaying the email beast, Great Not Big is a breath of fresh air – and a useful peek inside for those outside the region who wonder what's so unique about the successful business culture here in West Michigan. 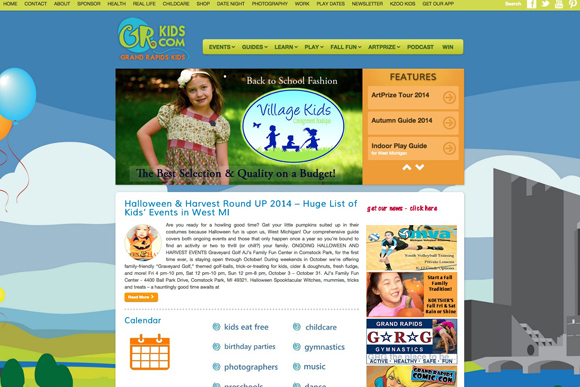 It's not really just a blog anymore, but GR Kids began in 2009 on the whim of its founder, local mom Melody VanderWeide, as a basic events calendar geared toward families with young children. Since then, it's grown into a comprehensive multi-contributor website, complete with a Facebook presence, event guides, sports and activity reviews and recommendations, contests, articles, and seasonal activity listings. 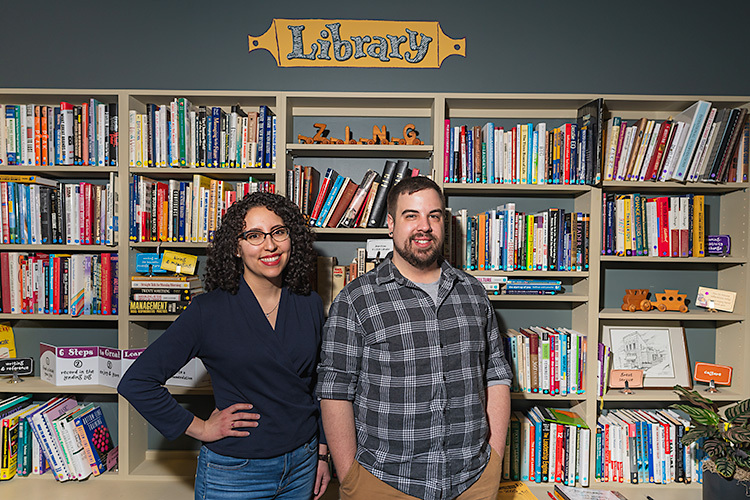 Despite the growth, GR Kids remains a trusted "by-parents, for-parents" source of connection to the community, and their calendar is still the place to check if you're looking for a rainy-day activity, a new dentist, or a local storytime in West Michigan. For the local music lover, Local Spins is a must-read. Managed by John Sinkevics, a journalist and respected local music critic with a dedicated following, the site focuses on concert reviews, concert guides, artist spotlights, and photo galleries of a bevy of West Michigan shows at a variety of venues. 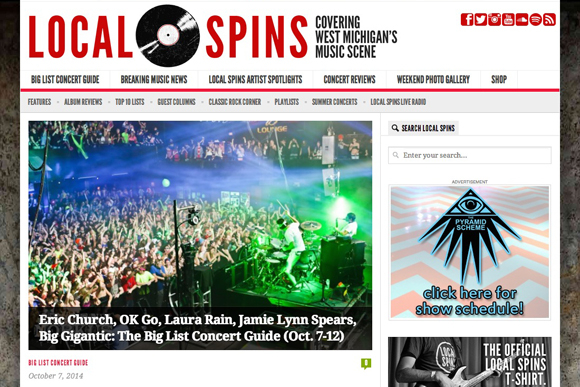 Covering everything and anything related to the West Michigan music scene, Local Spins is where readers turn for smart round-ups and spot-on posts on on-stage happenings. When Ray LaMontagne came to Meijer Gardens and behaved badly this summer, posts like this one tackled the issue fairly, thoughtfully, and head-on, fostering conversation about music but also audience responsibility, venue security, and the tenor of the West Michigan music scene. Play on, Local Spins! It's not your average local history blog, but FYGR (warning: the "F" in FYGR makes the title slightly NSFW, though the content is decidedly not R-rated) promises a wide range of "interesting finds, historical images, and odd information about the city of Grand Rapids, Michigan." Started in January 2011 and maintained by two brothers who wish to remain anonymous, FYGR delivers on that promise. The site aims for quirky historical photos, maps, advertisements, and trivia mixed with contemporary Instagram images and submitted photography. If you're interested in daily little doses of learning more about your fair city, FYGR is for you. Interested in children, education, poverty, health, public policy, racism, or community? 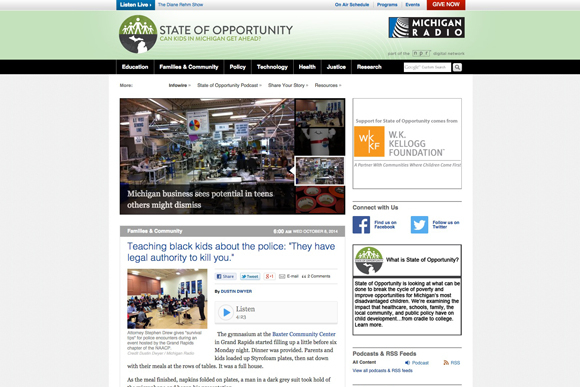 State of Opportunity, an initiative of Michigan Public Radio, looks at these issues and more, and focuses its articles on they way they converge to affect families right here in West Michigan. With whip-smart reporting by the dedicated team of journalists, State of Opportunity is "looking at what can be done to break the cycle of poverty and improve opportunities for Michigan's most disadvantaged children." 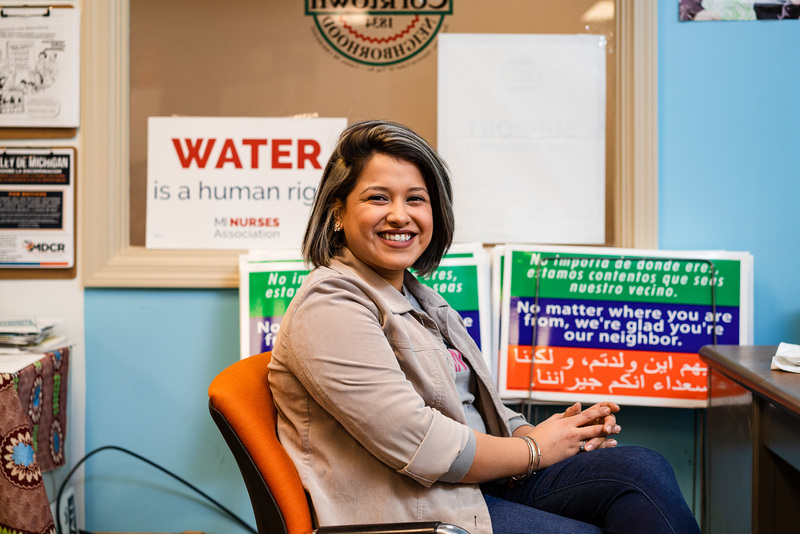 It's a critical, solutions-oriented perspective you won't get from the newspaper, and it's essential reading for people who want what's best for our next generation. 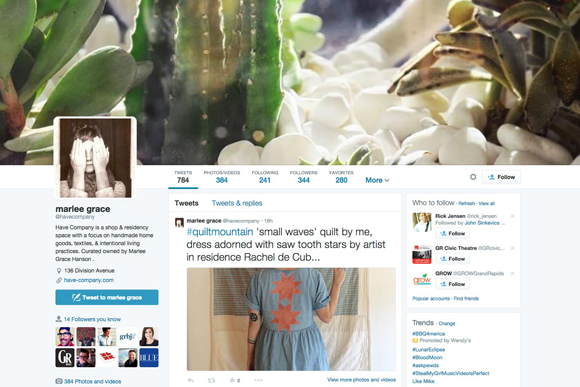 At first glance, Selective Potential seems to be a straightforward fashion/personal style blog. Upon further investigation, the site reveals itself to be a treasure trove of lovely photos and cheery descriptions of many of Grand Rapids' sweetest spots – think Winchester, the covered bridge in Ada, Vertigo Records -- as well as a few jaunts to the east side of the state and the U.P. The vibe is fresh and innocent, and the seasonal photos are a good way to keep up with the ever-changing aesthetic of urban life. For the Grand Rapidian who loves to talk new building projects and debate the merits of market-rate housing, Urban Planet is like Facebook for local development geeks. With threads on everything from the West Side revitalization to specific residential and commercial projects, the blog-slash-chat room is one part speculation, one part spirited debate, and one part newsy tidbits about the way our city is constantly growing and changing. Pick a username and hop on in. 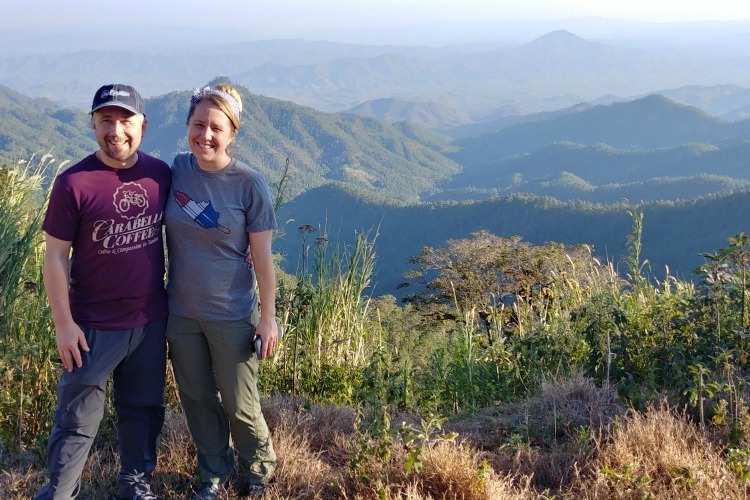 Not all below-the-radar conversations are happening on blogs these days; plenty of chatter is occurring on Facebook and Twitter, not to mention all the other social media (Ello, anyone?). Beyond blogs, we're especially keen on following a few local trendsetters on Twitter and keeping tabs on some unique Facebook groups. @LINCrev – neighborhood revitalization at its finest, with plenty of not-to-be-missed events and community happenings. @havecompany – Marlee Grace's unique storefront on Division is a beacon of the local DIY movement (and check out her loveliness on Instagram too). @shedoesdesign – keep up with all things local design, including AIGA, Design for Good, and TEDxGrandRapids, among others. @pyramidschemegr – always something good, music- or pinball-related, going on at this beloved music venue. @revuewm – irreverent, relevant, "West Michigan's Entertainment Guide." @adambirdphoto – we're biased, but we think Adam's about-the-town Instagrams are a fun barometer for what's going on in the city. @phototj – food, mopeds, and coffee – plus more above-average Instagrams from a great urban photographer. @briankelly – maybe it's because he used to shoot for us, but we're partial to his celebrity portraits and his shots of our fair city. @bikegrandrapids – details on bike parking availability, ride meet-ups, and local bike safety issues from GGRBC. 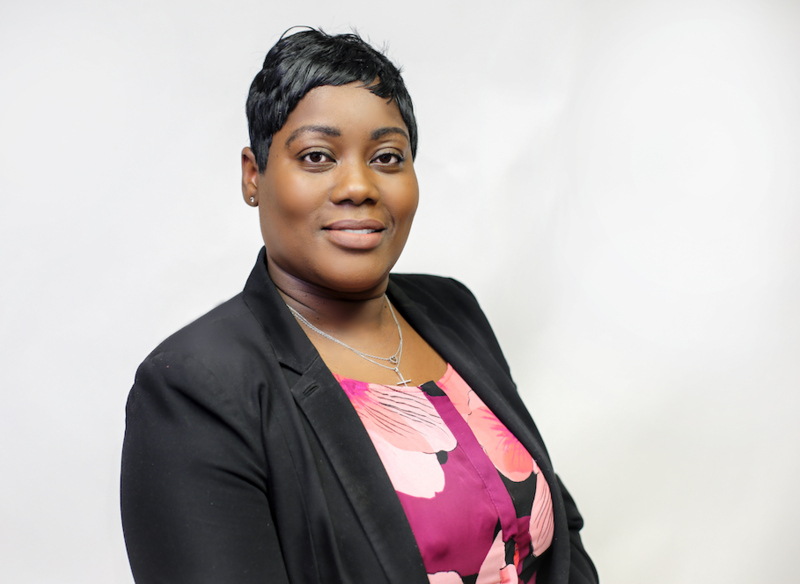 @Grabblocal – resources and news for West Michiganders who support the minority business community. 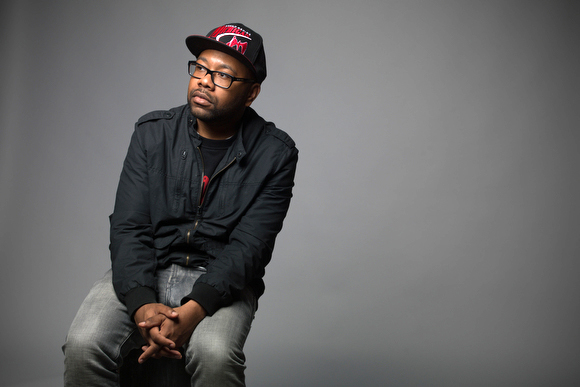 Jonathan Jelks@JonathanJelks – thoughts on community, entrepreneurship, music, and Michigan sports. 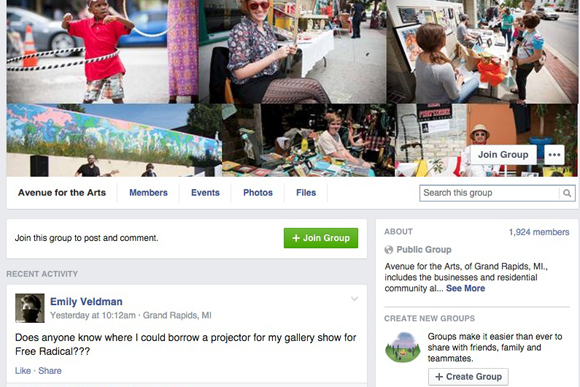 @grnow – tagline is "Find out what's happening in Grand Rapids"; it's true. Grand Rapids Running Club – a Facebook group that sets local runners on the right path, plus keeps them posted on upcoming races of all distances and locations. 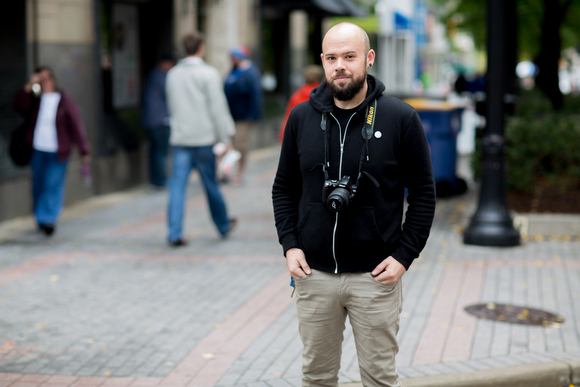 Matt Popovich Judge, Humans of Grand RapidsHumans of Grand Rapids – You've heard of Humans of New York? Well, HOGR is humbly following in its footsteps. Check it out. Avenue for the Arts – artists, galleries, and urban creatives of all types post about upcoming events, community issues, and life on South Division. 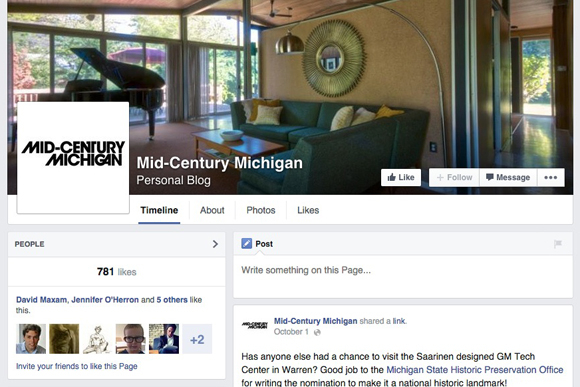 Mid-Century Michigan – a project documenting mid-century modern homes in Grand Rapids and the surrounding areas, it's drool-worthy for design nerds. Grand Rapids Historical Society – a conglomeration of unique old photos and current historical preservation efforts, it's a place to see the city like you haven't seen it before. Who are you reading and following? Much as we'd like to, we can't possibly read, follow, or "like" everything interesting going on in West Michigan these days. So tell us: Which local voices would you add to this list? Jump into the comment section and add to our list of social media worth following.